Here are some of the actual verifiable feedback/comments I received , posted by clients after they paid for and received their vans , I had no control whatsoever over what they post , and I challenge anybody to find any negative remarks about me anywhere. These comments are just samples of many we receive and are shown exactly as posted or received . Hello Sam, We really love the van. You did an outstanding job with our requests. You were also very patient with us and our financial institution in closing the deal and we greatly appreciate it. Thanks again from the Williams' family. Had a wonderful experience with arizona wholesalers, they are a wonderful family to deal with. I say go for it and deal with this business. We bought our 2017 GMC conversion van in early November 2017. 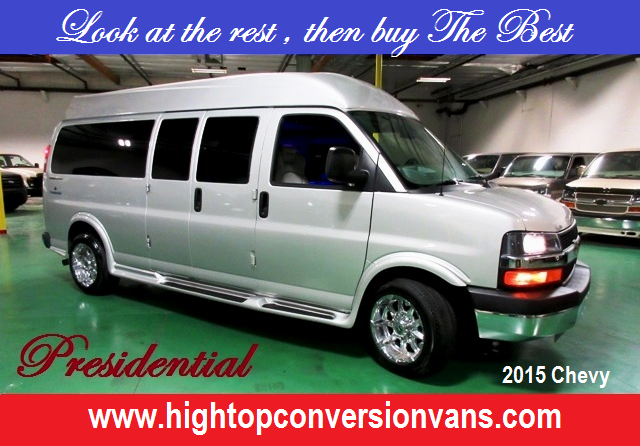 We are so pleased with the quality of the craftsmanship of the van and the conversion. It has met all of our expectations, and Sam was wonderful to work with. 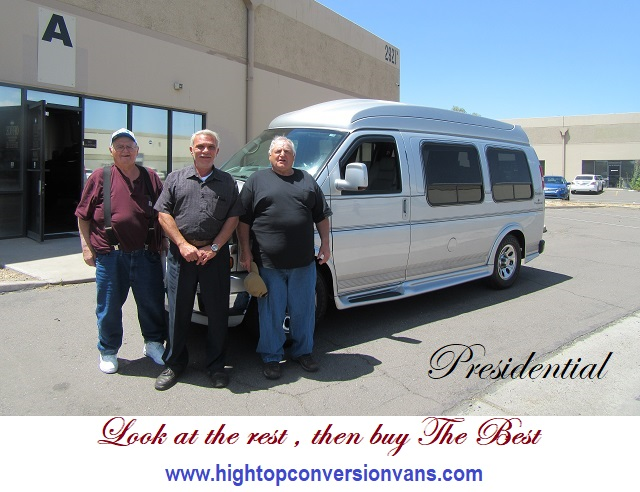 The entire buying experience was a pleasure, and we would highly recommend Arizona Wholesalers to anyone interested in buying a conversion van. Sam was great ! 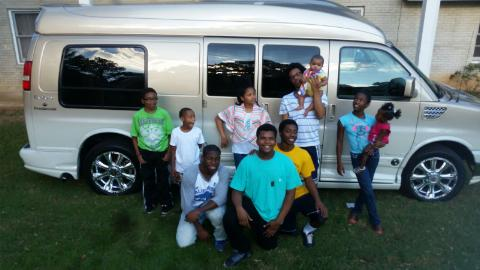 Worked hard to get us the van we needed . He answered all our questions and made sure we were happy with our new van. I would recommend his business to anyone. 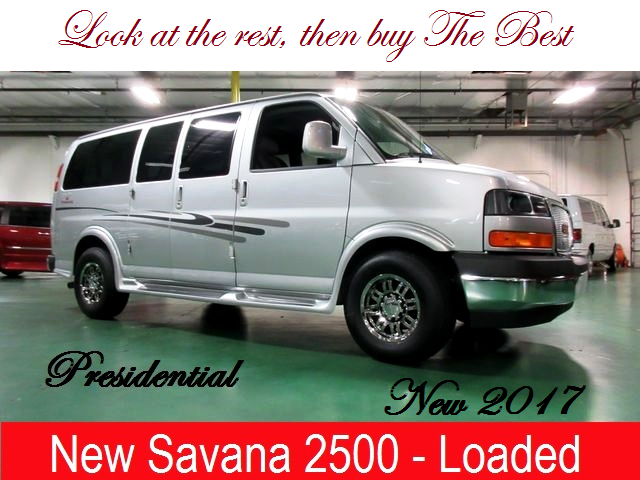 From Kennet and Virginia Worm , Tuscon – AZ , Bought a Used 2008 Ford Presidential Mobility Conversion Van with 90k Miles. 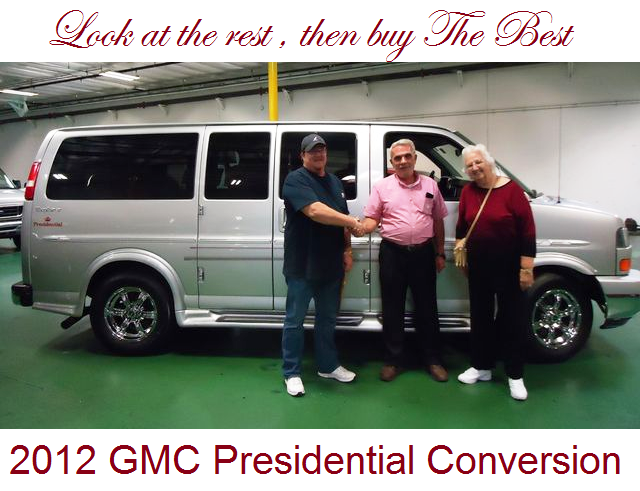 From Mike and Nancy Blankenship, Harrisonburg - VA , Bought a Used 2015 Chevrolet Presidential Conversion Van with 28k Miles. Sam was a Jewel , a Diamond to work with. 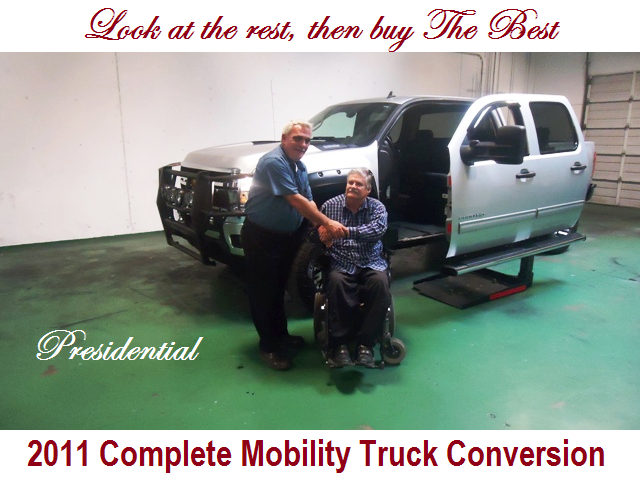 He made the purchase of our 2011 modified truck an easy process and went the extra mile to make sure everything was A-OK before we left. 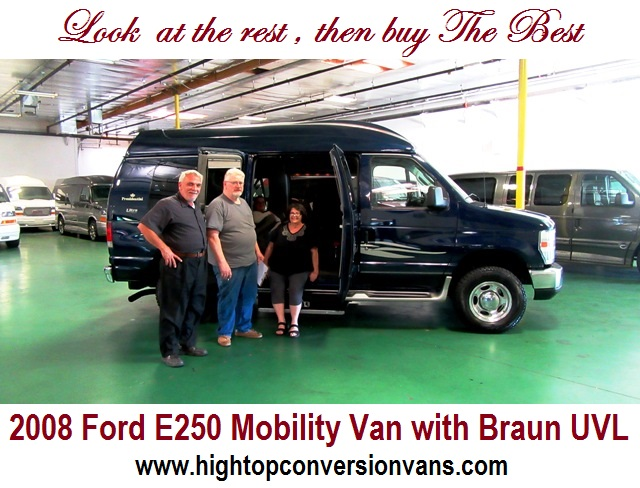 We flew in from Salmon Idaho .We have enjoyed our experience in dealing with Sam and his team on the purchase of our new Chevy conversion van. They were very informative on the operation of all the upgrades. Sam treated us real well and we enjoyed the experience. 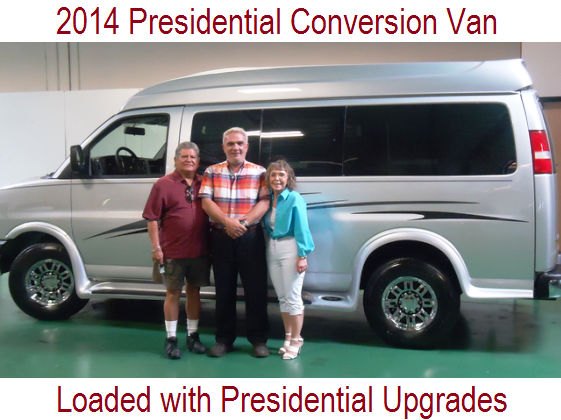 From Clee Ziegler , Salmon – ID , Bought a Used 2010 Chevrolet Presidential Conversion Van with 93k Miles.